The Institute of Fine Arts announces a postdoctoral fellowship supported by a grant from the A. W. Mellon Foundation. This award will be for academic year 2015 – 2016. The A. W. Mellon Postdoctoral Fellow will be in residence at the Institute of Fine Arts, New York University. This fellowship will give the Fellow the opportunity to pursue a research project while gaining teaching experience at a graduate level. The Fellow is expected to carry out research on a project leading to a major publication. The A. W. Mellon Postdoctoral Fellowship award is $55,000 per year, with benefits. There is a further $10,000 housing allowance and $2,000 for travel and research expenses. Residency: Postdoctoral fellows are expected to reside in New York and to participate fully in the research activities of the IFA throughout the fellowship period. 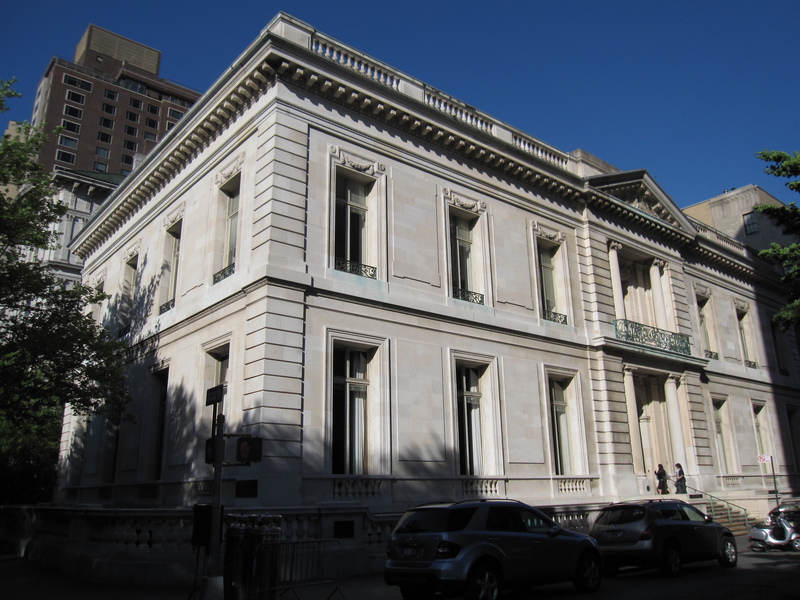 Fellows are provided with office space and have access to the resources of the libraries of the IFA and New York University as well as other specialized research libraries and collections in New York. Applicants for 2015 – 2016 must have received the Ph.D. degree between October 1, 2009, and October 1, 2014. The fellowship is awarded without regard to age or nationality of applicants. Applications are reviewed by a selection committee composed of IFA Faculty. There are no restrictions about the field of study. Applications are encouraged in fields not currently taught at the Institute of Fine Arts. Selection will be based on the merits and feasibility of the proposed research and on the academic and research excellence of the candidate New York University is an Equal Opportunity/Affirmative Action employer. We encourage women and minority candidates to apply. Applications must be received by October 31, 2014. Candidates must submit five (5) copies of application forms, including all materials. Three letters of recommendation in support of the application are required. After a preliminary selection, finalists may be interviewed in February 2015. The fellowship award will be announced by April 30, 2015. A. W. Mellon Postdoctoral Fellowships may not be postponed or renewed. This entry was posted in Funding and scholarships, Jobs, Uncategorized and tagged Andrew W. Mellon Foundation, Institute of Fine Arts, New York City, postdoctoral fellowship on September 15, 2014 by michaelazoeschg.